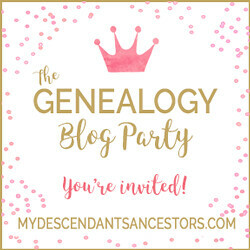 Jana's Fab Finds post for today lead me to the World Wide Genealogy blog where there is a blog post about incorporating Evernote into your research process. I LOVE Evernote but I have been slacking in using it to its full potential. I spent some time in Evernote today, however, cleaning out some old notes that I no longer needed. Yes, I DELETED some notes ... 151 notes to be exact. The post was a good reminder to put Evernote and any other tools out there to use to help the research process easier and more efficient. Are you using Evernote to its full potential?